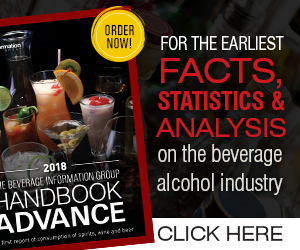 Beverage Wholesaler - June 4, 2018 To view this email as a web page, click here. Welcome to Part 1 of our series that recognizes our 2018 Retailers of the Year, as recognized by our sister publication Beverage Dynamics. In this post we honor Applejack Wine & Spirits of Denver, Fisher’s Liquor Barn of Grand Junction, and Liquor Factory of New Jersey. Monarch Beverage is planning to lay off 100 workers in Indiana as it shuts down its wine distributing business after losing a contract with E&J Gallo. The company attributed its loss of Gallo to an inability to distribute liquor, due to state laws it’s been trying to change for years. Johnson Brothers is set to acquire Monarch’s wine assets in Indiana. Overview: Develops and implements sales strategies, tactics, and operational plans for sale of represented suppliers in assigned retail accounts. Monitors execution of; pricing strategies, replenishment, central replenishment and operational efficiencies/programs at a state and customer level to ensure attainment of account goals and objectives. Works with Suppliers and State Management to develop/execute account specific operational plans.